1023 Aldora Ln, Waunakee, WI.| MLS# 1854206 | John Reuter Realtor/Broker/Owner of The Reuter Team. Wisconsin Homes for Heroes Realtor. Proud to be the Top Homes for Heroes Realtors in Wisconsin and One the Top Homes for Heroes Realtors in the United States. 2,747 sq ft; lot: 10890 sq ft - MLS# 1854206 Courtesy of Exclusive Real Estate Group, Inc.
Beautiful 4 bedroom ranch within walking distance to schools & parks. 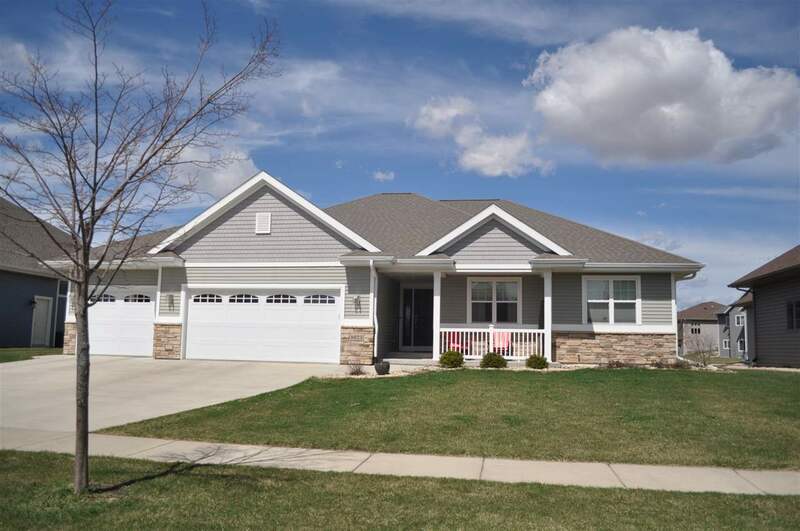 Expansive Ranch Home w/open floor plan. Corner fireplace, island counter, large dining area. Main floor has hardwood wood flooring. Bathrooms, laundry, mudroom have beautiful tile flooring. Owner's suite with double sinks, walk-in closet. LL is large open room w/space for TV, table games & exercise equipmt. LL has 4th bdrm, 3rd full bath, & lots of storage. Outside living area w/ large level yard. 3 car garage. Welcoming neighborhood! Listing Office: Exclusive Real Estate Group, Inc.